It's one of those fashion things - spring brings the blossoming of floral frocks which gradually fall away from the shelves as winter approaches. Except this year, the hardy daisy seems to be clinging on through the cold. Whether you love them, love them not, they're everywhere at the moment, especially on things I can't afford. I'm trying hard not to lust over this Jaeger floral dress. 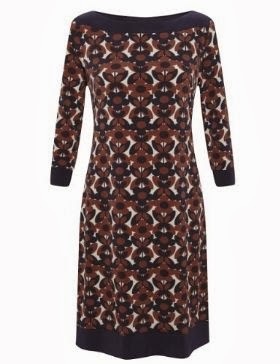 Or this House of Hackney shift dress. Or this Orla Kiely bag. So let's start with this French Connection daisy Maze embellished dress, a gorgeous contemporary update of the typically sixties stylised daisy shape. It's £150 but things will get more affordable from here on in, I promise. 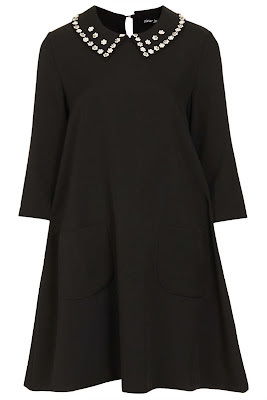 Picking up on the sixties spirit without the hefty price tag is this daisy tunic dress, £39.50 from Marks & Spencer. The bold pattern suggests to me the designer might have been looking at some Orla Kiely designs - no matter either way, as the classic shape should last you until the flowers come out again and beyond. Ever since Mary Quant used it for her logo, the daisy will be associated with Swinging Sixties youth fashions. This Sister Jane design uses those connotations in a subtle way, with the daisy restricted to prettifying the collar of this daisy dress. You can get it for £68 from the Topshop website. Yumi have gone daisy crazy in their latest collection. 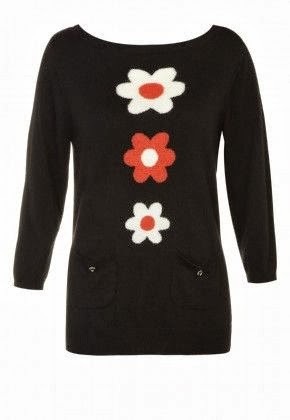 It's all rather cheering, especially this daisy jumper, available for £45 from House of Fraser. Pair with coloured tights and a broad grin for your best kids TV presenter impression. 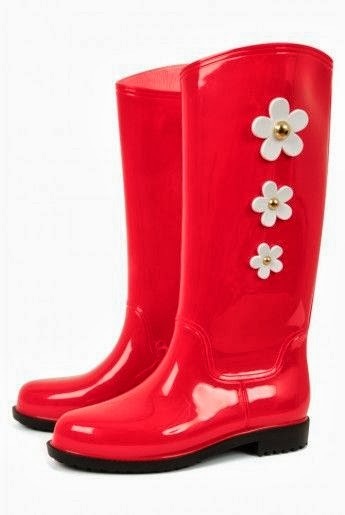 More winter cheer almost guaranteed with these daisy wellies. They're £28 from Joy. And it goes without saying surely, that your accompanying perfume will be a spritz of this. 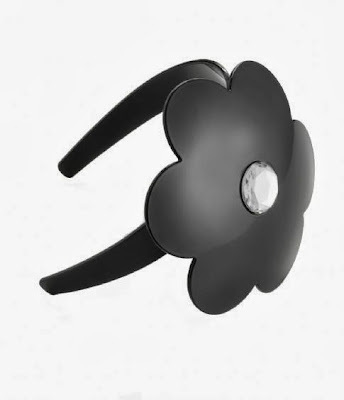 For more flower power accessories Anna Lou of London makes a charming range of daisy hairbands, £25 each. Here it is classic black, but it's also available in pink, white and red. The perfect winter wedding alternative to a froufrou fascinator possibly? I've been concentrating on sixties styles but - of course - daisies also had their fashion day in the 1990s (just think Drew Barrymore). 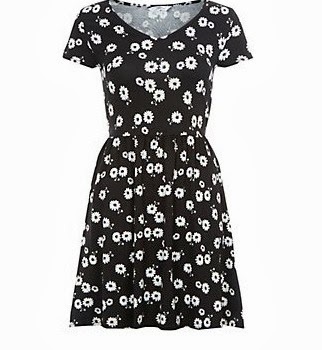 While I feel a bit long in the tooth and short of enthusiasm to fully embrace the 90s grunge look, for those younger and braver than myself, New Look's daisy print tea dress is definitely worth a look. It's a steal at £17.99.